Super exciting news! I just added Android 7.1 Nougat to Browserling. You can now cross-browser test your websites in this latest Android version. 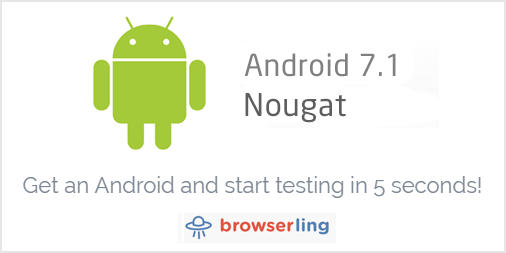 This blog post is a repost of Android 7.1 Nougat Added to Browserling from Browserling's cross-browser testing blog.